Lilias Adie, from Torryburn, Fife, in Scotland, was accused of witchcraft in 1704 AD after she apparently “confessed” to her dealings with the devil (including having a sexual relationship). However, before she could meet her gruesome fate of being burned alive, she died in the prison itself shortly due to unknown causes, with one hypothesis suggesting suicide. 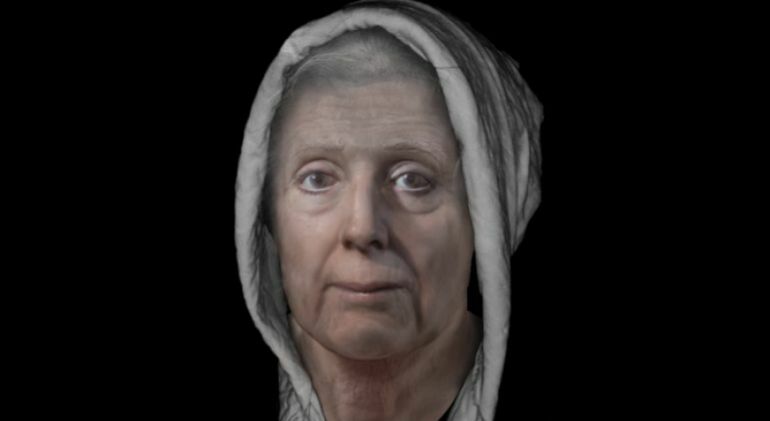 And now, after 313-years, researchers at the University of Dundee have reconstructed the face of the elderly woman for BBC Radio Scotland’s Time Travels program. 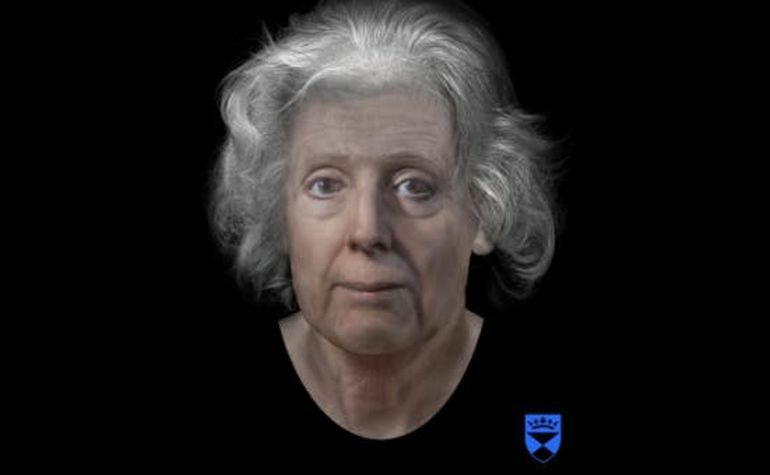 The researchers, associated with the university’s Centre for Anatomy and Human Identification (CAHID), believe that their reconstruction is likely to be the only accurate likeness of a Scottish “witch” in existence. The reason being that most of the accused were burned, which rather significantly hampers the chance of recreating such historical visages. To that end, the period between 15th and 18th century balefully boasts some startling figures when it comes to witch-hunting. According to these epoch-defined numbers, around 40,000 to 60,000 people were tried and executed as witches across both Europe and the American colonies, and possibly 10,000 to 15,000 of them were actually men. And in line with the anachronistic custom, locals of the area tried to weigh down Ms. Adie’s remains in her grave, possibly as a ‘precaution’ to stop her from haunting them. But it was scientific curiosity that ultimately paved the way for this modern reconstruction project. To that end, back in 19th century, some antiquarians decided to dig up her grave for further study and display. 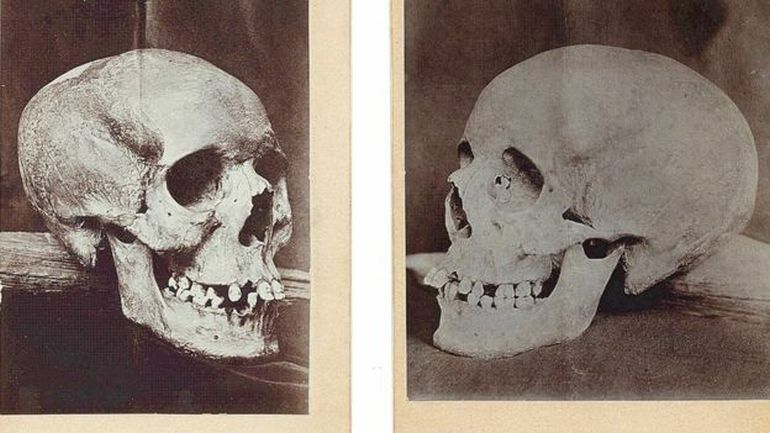 In fact, her skull was sent to the St Andrews University Museum, where it was photographed more than 100 years ago. And while her remains were lost by the 20th century, the photographic evidence (pictured above) was salvaged in the archives of the National Library of Scotland. When the reconstruction is up to the skin layer, it’s a bit like meeting somebody and they begin to remind you of people you know, as you’re tweaking the facial expression and adding photographic textures. There was nothing in Lilias’ story that suggested to me that nowadays she would be considered as anything other than a victim of horrible circumstances, so I saw no reason to pull the face into an unpleasant or mean expression and she ended up having quite a kind face, quite naturally. I think she was a very clever and inventive person. The point of the interrogation and its cruelties was to get names. Lilias said that she couldn’t give the names of other women at the witches’ gatherings as they were masked like gentlewomen. She only gave names which were already known and kept up coming up with good reasons for not identifying other women for this horrendous treatment – despite the fact it would probably mean there was no let-up for her. It’s sad to think her neighbors expected some terrifying monster when she was actually an innocent person who’d suffered terribly. The only thing that’s monstrous here is the miscarriage of justice.